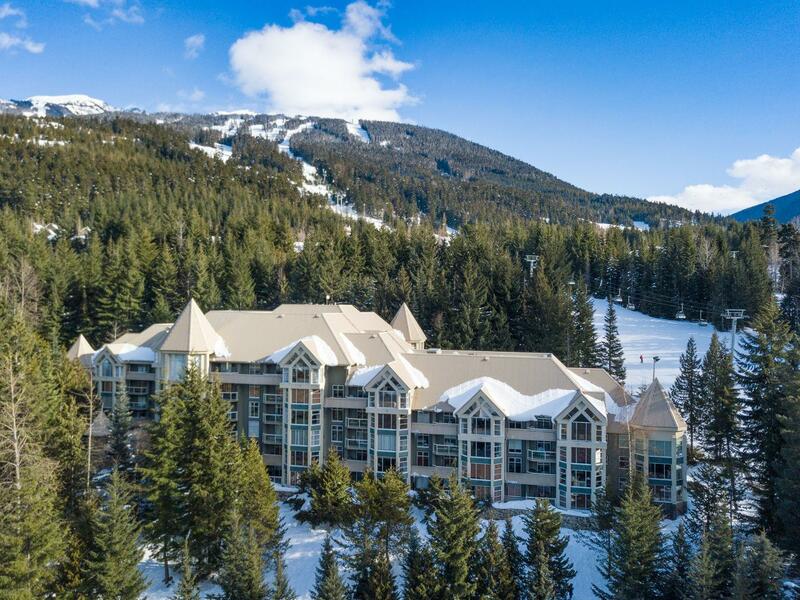 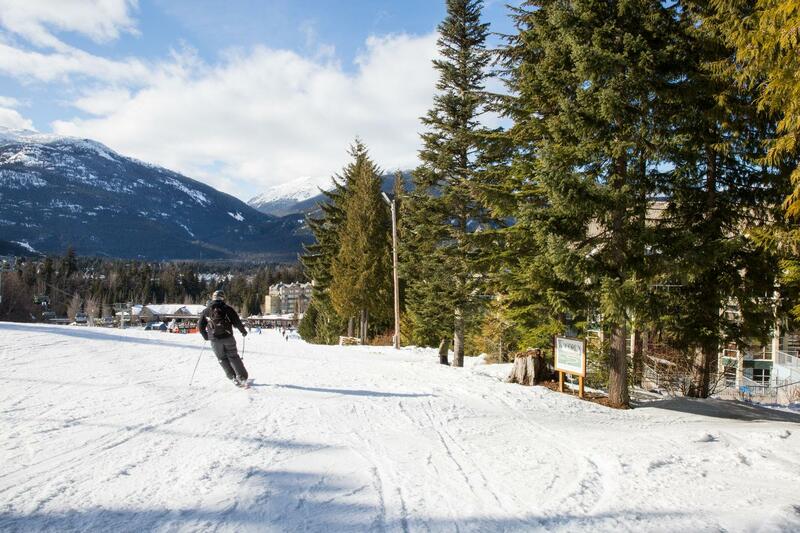 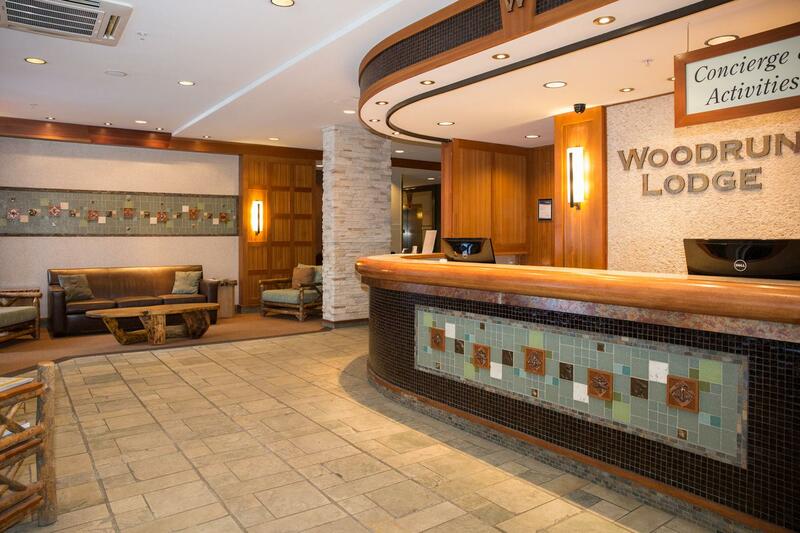 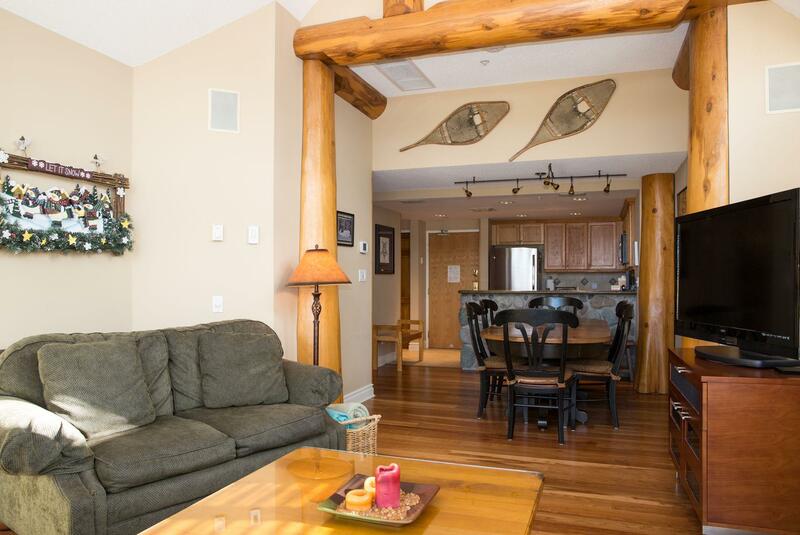 This deluxe fourth floor 2 bedroom / 2 bathroom unit is located in the Woodrun Lodge on the slopeside of Blackcomb Mountain with a beautiful forest view. 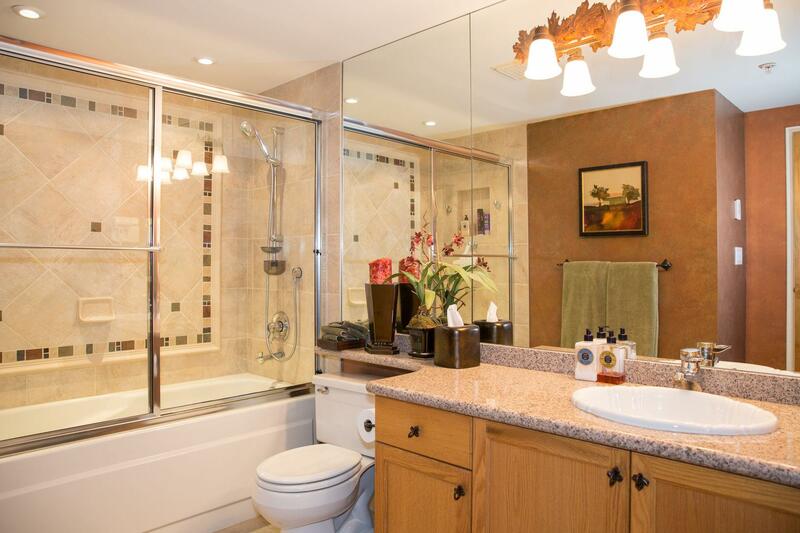 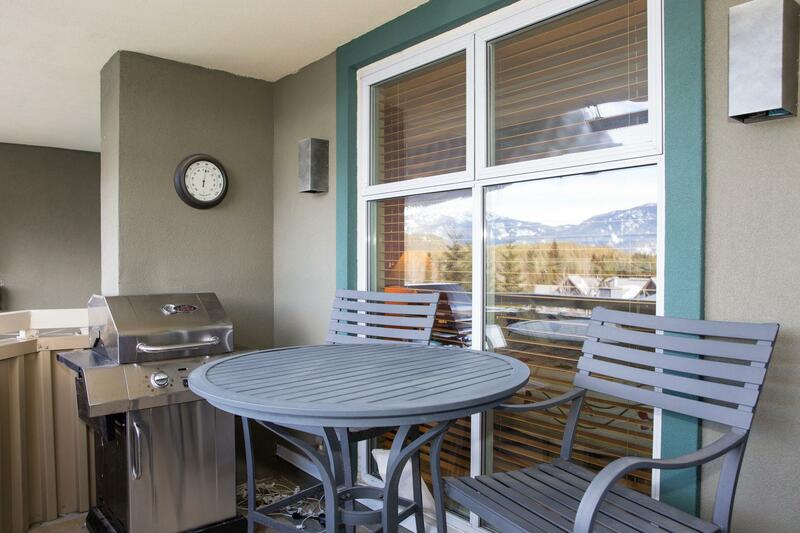 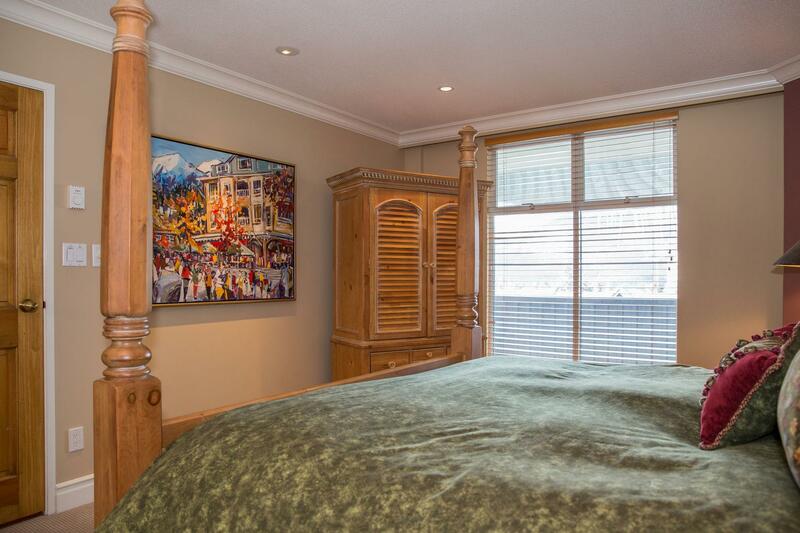 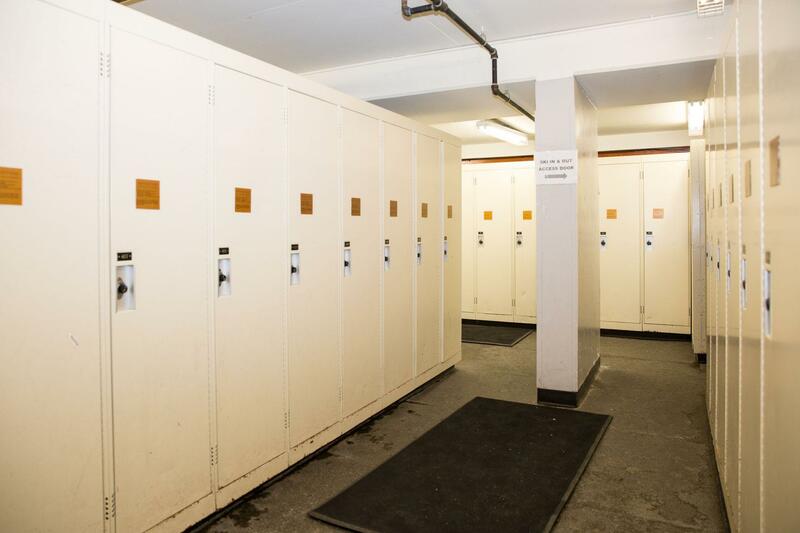 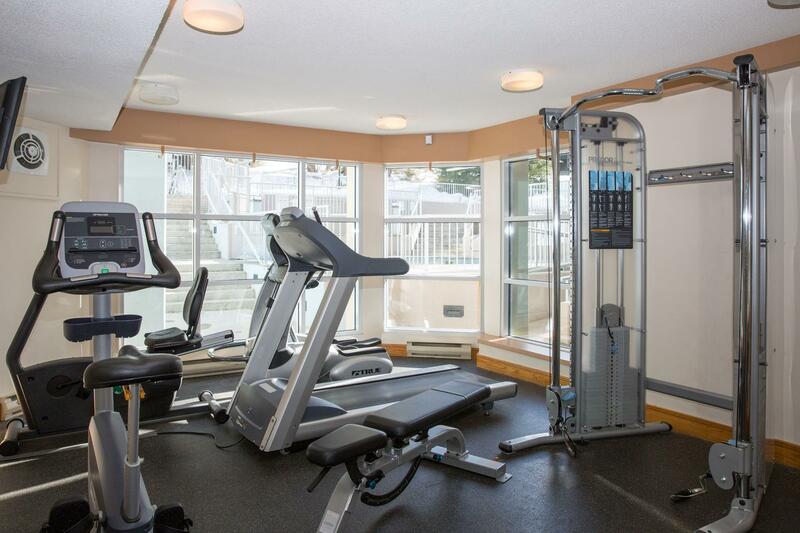 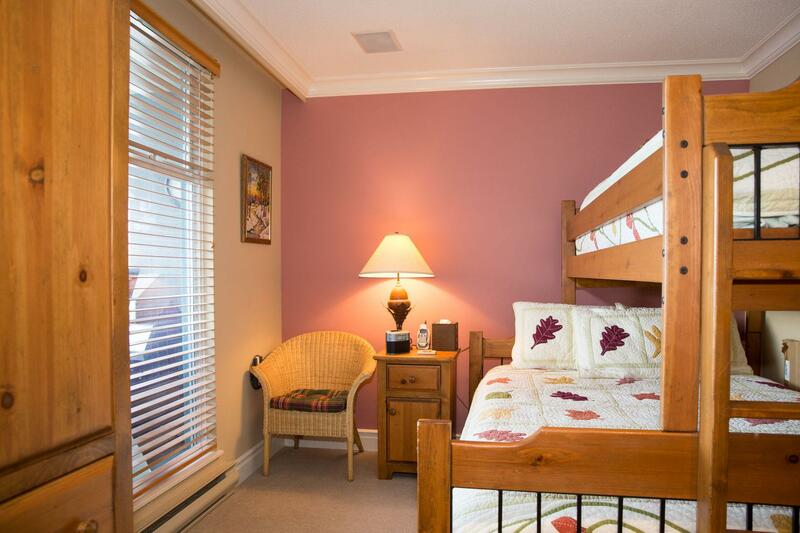 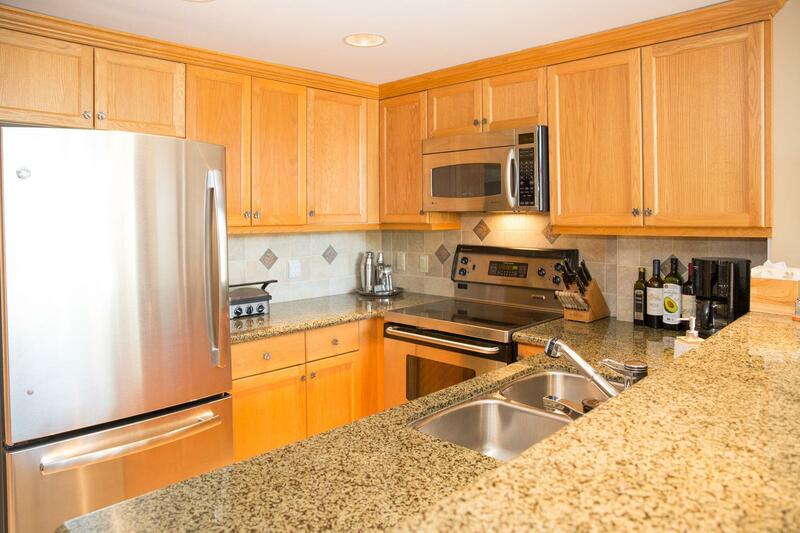 This unit boasts a fully equipped kitchen, heated floors, and in-suite laundry. 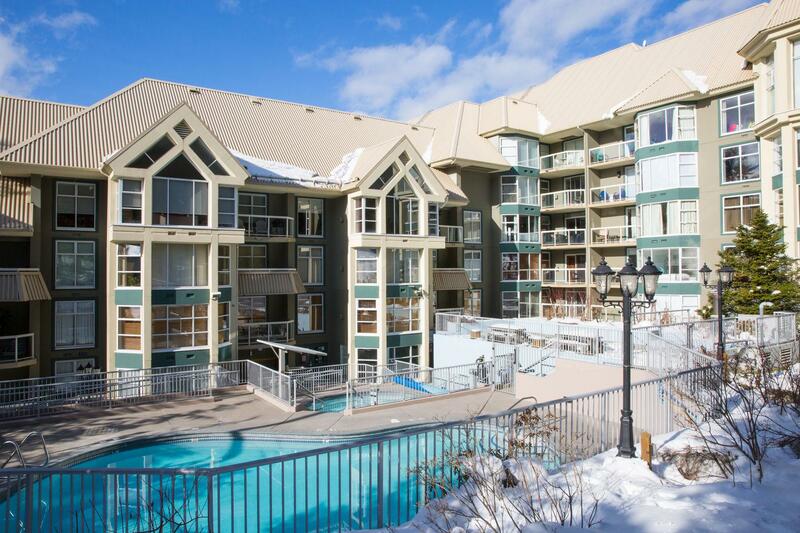 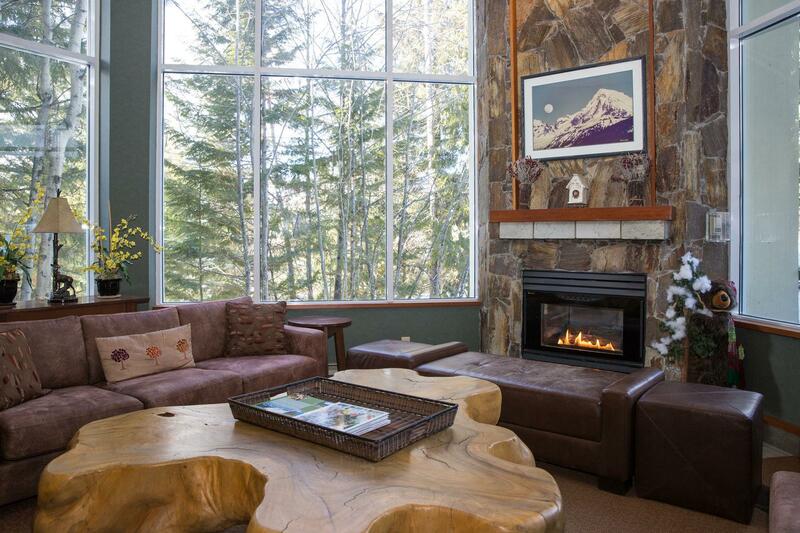 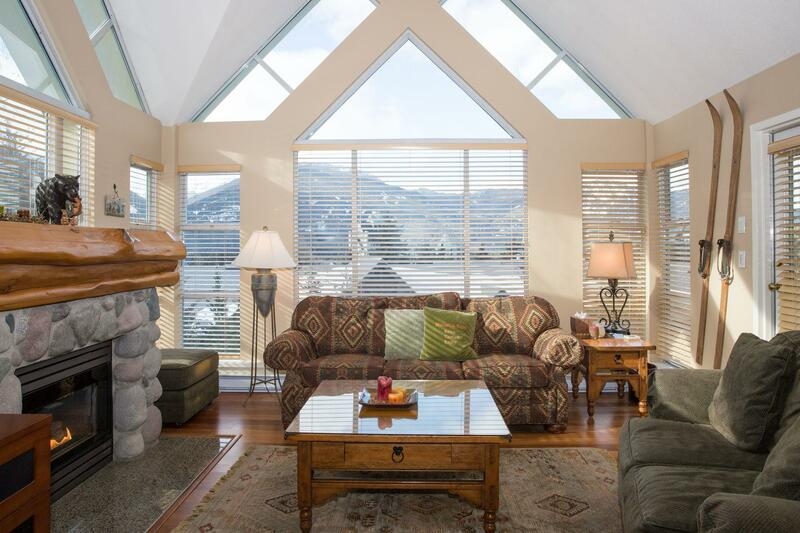 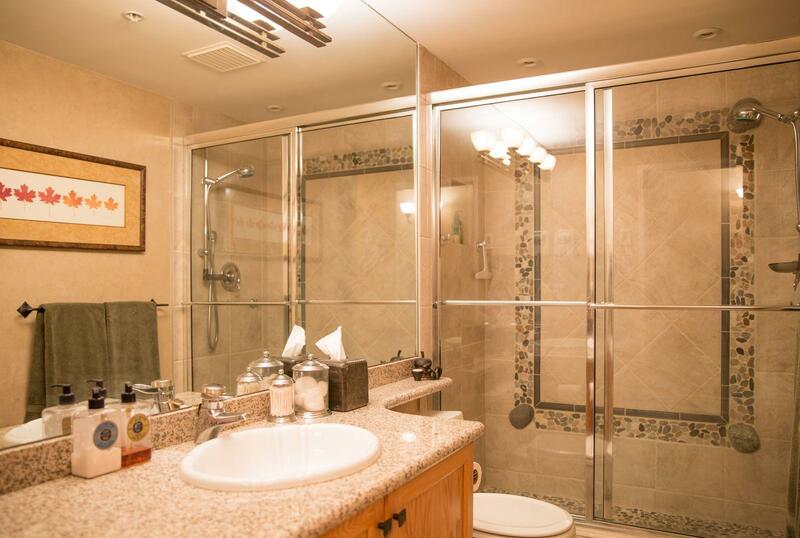 The building is steps from the slopes and is a true ski-in/ski-out with a pool and hottub right on the slope! 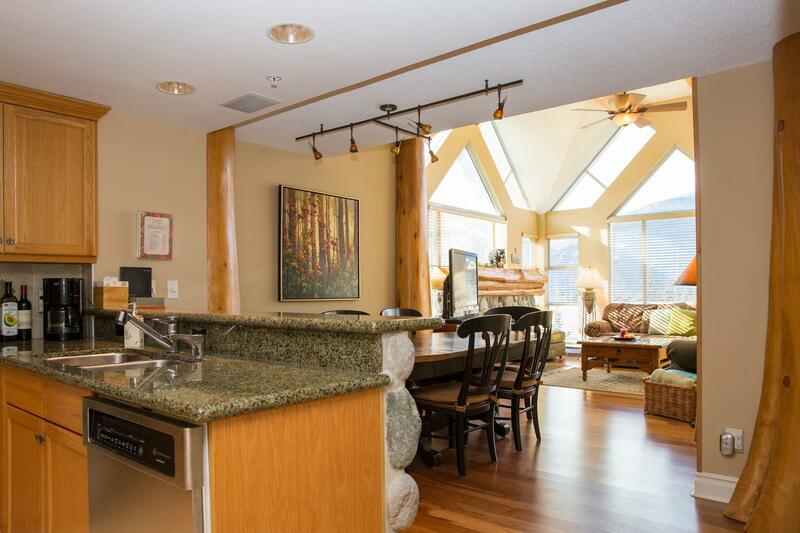 HIGHLIGHTS • Ski-in / Ski-out location • Free local calls • Complimentary wireless internet • Fully equipped kitchen • TV and Cable in Living Room and Master Bedroom • In Unit Laundry • Gas Fireplace • BBQ • Heated Floors UNIT CONFIGURATION • 2 Bedrooms • 2 Bathrooms • Sleeps 7 • Forest View BEDDING BREAKDOWN • Master Bedroom - King bed • Second Bedroom - Double/Twin Bunk Bed • Living Room - Pull Out Sofa Bed PROXIMITY TO VILLAGE • Upper village: 7 min walk / 3 min car / 5 min bus • Main village: 12 min walk / 4 min car / 7 min bus BE AWARE • Pets not allowed • Parking for 2 vehicles; Garage height 6'8"
Ski-In (and Out) to the Woodrun!